This is also the time that we move into high gear preparing for our 14th Annual Ryan’s Ride, which is less than a week away - Sunday, June 25th. Pre-register will be closing in a few days. Although same-day registration is available, skip the line by pre-registering by Thursday, June 22nd. Our family and countless volunteers work tirelessly to make this magical event possible. We hope you can set up an online fundraising account to ask your families and friends to make a pledge on your behalf. 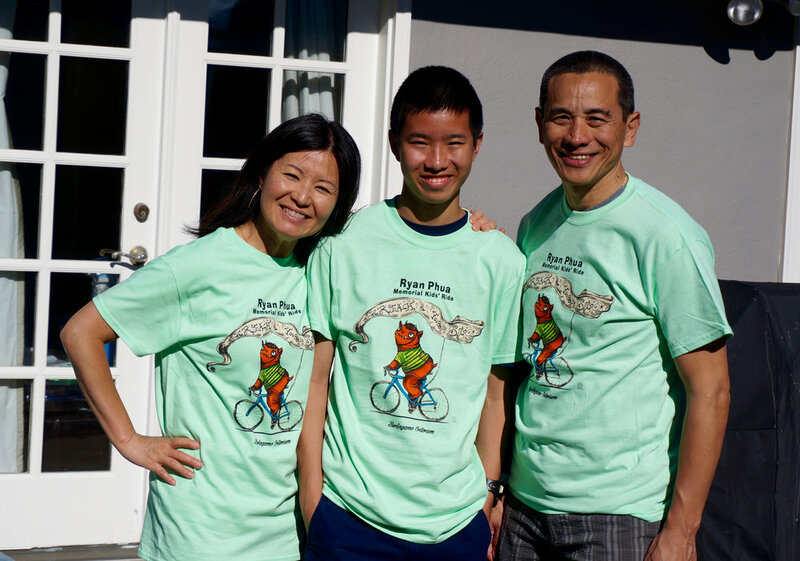 One young rider has raised $1,991 to date! A chance to enter a drawing to win a PlayStation 4 with games (a minimum pledge of $50 via Crowdrise online fundraising account) or raffle sales at the event. A free Poketti is yours when you donate a minimum of $5 (limit one per rider). Must be picked up at the donation booth on the 25th. Get your friends and family ready to race and pre-register! Looking forward to seeing you! Fourteen years on, the life cycle of Ryan’s Ride continues to evolve, as our generation has started to pass the baton to the next. This year, Matthew is taking on a more active role in the planning of Ryan’s Ride. On the design side, for the 2nd year in a row since her father passed on his responsibilities, Izzy Cass, 15 has delighted us with her creation for the Ryan’s Ride t-shirt/poster. 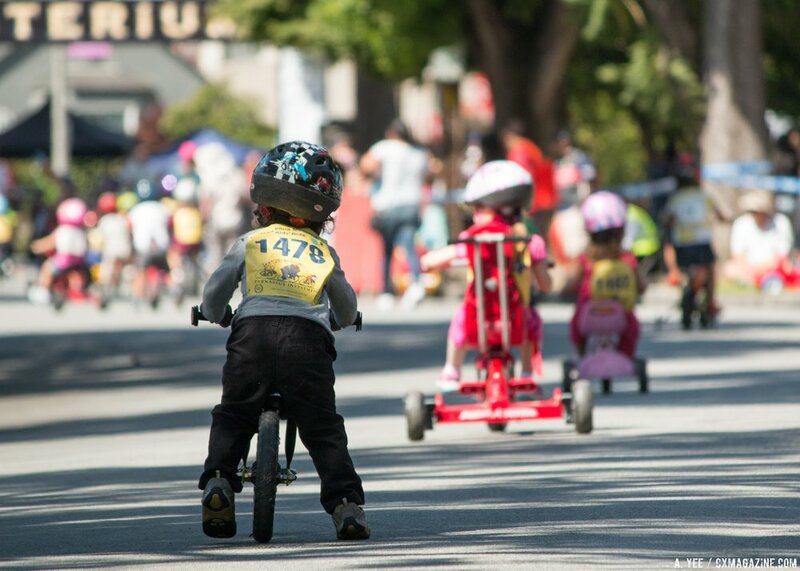 Several dedicated former volunteers will cheerfully push their own young toddlers down the course as participants this year. A few Ryan’s Ride participants who have since aged out are now returning this year to volunteer. How wonderful to see Ryan’s legacy continuing! Last year, with your support, we raised $70,000 for Ryan’s Fund, which has grown to $750,000. We hope you will consider supporting us by making a donation to Ryan’s Fund to help us reach the $1 million fundraising milestone to support cancer programs. If you are a rider, please set up a crowdrise account to raise pledges. Fourteen years since Ryan’s passing, we still miss him. But each day we continue to learn to embrace every special moment together as a family; the big laughs and small giggles, trying new things, typical life challenges, the many different adventures one experiences living in this world. It is by gratefully living in the present that we escape the regret of never having lived at all. It is a wonderful tribute to Ryan, and a contribution to our local community of which our family is very proud! Every year we are so grateful for your continued participation and support. Ryan’s spirit lives on through the joy of 500+ beaming, joyful children. We hope to see many of you this Sunday. We are excited to inform you that pre-reg is now open. You may also do same-day register at the registration booth on the corner of Lorton & California from 8:30am to 10:00am on the day of the event; however, you will check in faster if you pre-register online. Share this announcement with your friends to register. 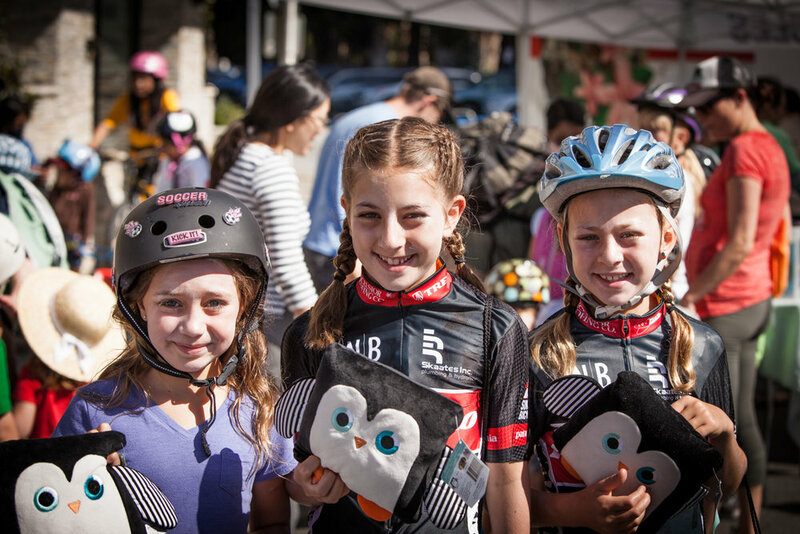 It will be great to see you out there encouraging the little ones on their bikes riding. The 12th Annual Ryan’s Ride was another huge success with 175 community volunteers all came together on a sunny day to spread so much joy with our 550 young Ryan's Riders. Thank you, our family, friends, volunteers and community for your compassion and continued support to this personal event. With your help, we have so far raised $46,000 for Ryan’s Fund to support cancer programs this year. We are forever grateful that you continue to help us honor our Ryan by helping us spread so much good on the day of Ryan’s Ride. You may also do same-day register at the registration booth on the corner of Lorton & California from 8:30am to 9:45am on the day of the event; however, you will check in faster if you pre-register online. Please check out our new website ryansride.org. We loved our original site as it has been with us for at least 10 years and it was time for us to refresh it. It will be easier for us to keep it updated with the latest information leading up to and post Ryan's Ride. It's a great time to start practicing on those bicycles. Mark the date, Sunday, June 28, 2015. Thank you to our wonderful friends Nadia and Luca Prasso for working so endlessly on creating a new site for us.